This mode is useful for constructing shapes from straight lines, where the start of each new line is connected to the previous line. You can press shift to change the connection point between the start, center, and end of the previous line. 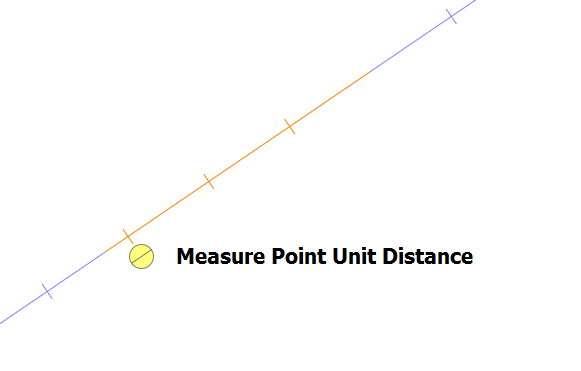 While holding control, you can also change the measure point unit distance by sliding the yellow control point. 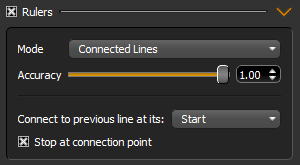 Use the Stop at connection point option to prevent your line from overshooting past the connection point.